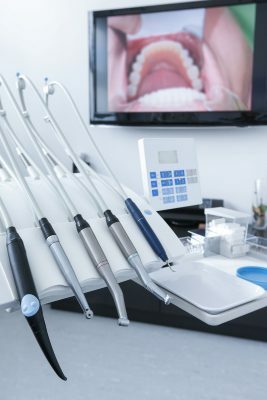 If you are looking for a top-notch periodontal practice that can provide you with crown lengthening surgery, you will want to come in two see our expert periodontist, Dr. Stuart Selgenick, at Advanced Periodontal Services, PC. Our Brighton Beach gum specialist can provide all periodontal treatments to give you more attractive and healthier gums. Our Brighton Beach gum specialist will perform crown lengthening for many types of gum problems. If a tooth needs to get a dental crown, but there is not enough of the solid tooth structure exposed to be a foundation for the crown, the gums can be reshaped to expose more of the healthy tooth structure. This will allow a dentist to provide the patient with a properly-placed porcelain crown. Crown lengthening surgery can also be used to improve the aesthetic appearance of a smile. Crown lengthening surgery can move the gums back so that more of the tooth is exposed. Sometimes a patient has what is referred to as a gummy smile; in these cases, it is not that the teeth are too short, but simply that not enough of the tooth is exposed. Crown lengthening surgery can be used to improve the appearance of a complete smile, or to improve the appearance of several teeth which are covered by too much of the gums. During the crown lengthening surgery, the gum tissue will be reshaped to work with the bone that surrounds the tooth, or teeth, being treated for this problem. Crown lengthening surgery can take about one hour, but treatment time does depend on the number of teeth that are being treated, and whether or not any bone needs to be removed. Usually our patient will receive local anesthetic and there will be a few incisions made so that the gums can be separated from the teeth. After gum surgery, you may need to have antibiotics or pain medications to help you with the recovery process. For an appointment to be seen by our Brighton Beach gum specialist for crown lengthening surgery, or other periodontal care, simply contact our office.